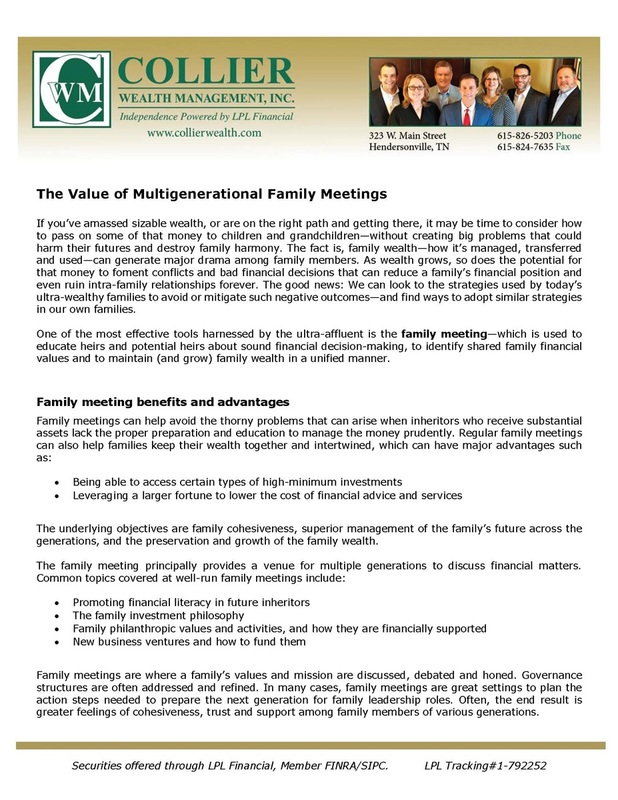 The Value of Multigenerational Family Meetings | Collier Wealth Management, Inc. If you’ve amassed sizable wealth, or are on the right path and getting there, it may be time to consider how to pass on some of that money to children and grandchildren—without creating big problems that could harm their futures and destroy family harmony. 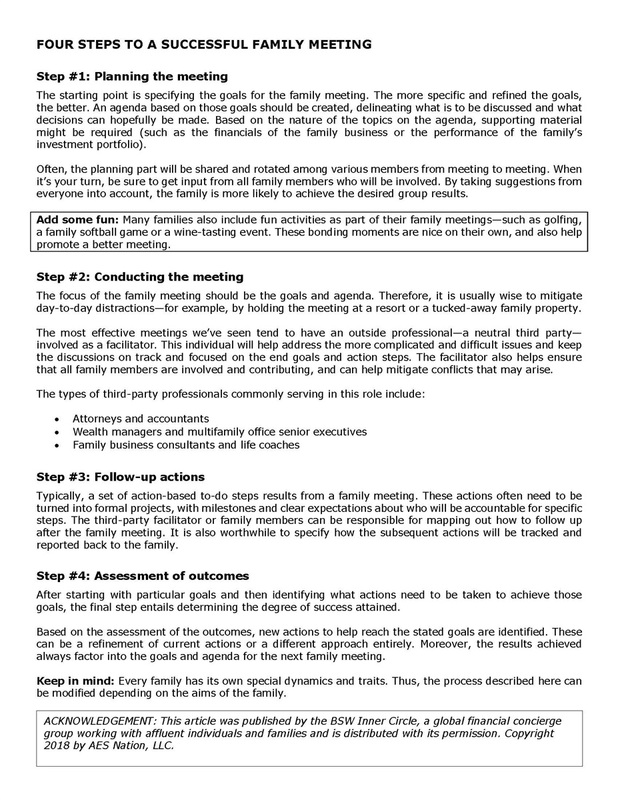 Request your copy of "The Value of Multigenerational Family Meetings"